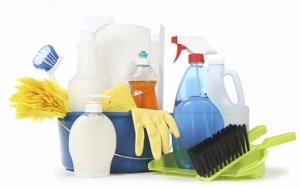 Quality Cleaning Services. Call Experts Today! Alkoz Building Services is a family-owned and operated commercial cleaning service that has been in business for 31 years. We care for local businesses and realize how important it is to make a great first impression on everyone from clients to employees that visit your building. That's why we always clean your premises with the highest level of detail and personal attention in mind. Over the years, we've built great rapport with several business owners in the Detroit metro that have become loyal customers and are glad to offer referrals. If your business needs a commercial cleaning company that truly cares about keeping its customers fully satisfied, please call us at (734) 249-6116.